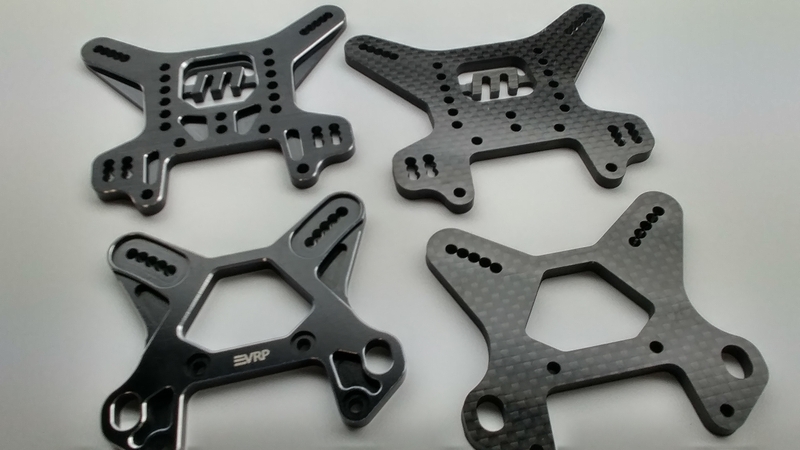 New- VRP Mugen MBX8 Towers Now Available! DO NOT USE ANY COUPONS ORDERS CONTAINING THESE PRODUCTS. WE WILL REFUND THE ORDER. Re-Defining the Shock Piston with Patent-Pending Technology. Pistons specially designed for Carpet Style Racing.  The Worlds First Smart Piston for R/C! Combining the best Materials with Simple, Well Thought Out design.... Tools 4 Life. VRP E817/D817 3.25 D Block. VRP E817/D817 3.5 D Block. VRP B64/B64D Aluminum Front Shock Tower (Black). VRP CnC Aluminum B6 'Spur Guard' Motor Plate 'Lite' (Blue). VRP Aluminum 13g Rear Ballast Weight for the B6. VRP B6/B6D Brass Chassis Weights (15g). VRP B6/B6D Brass Chassis Weights Lite (10g). VRP XV3 3 Hole 2.1mm for Tekno. VRP Pistons XV3-HT 8 Hole 1.3mm for Hot Bodies D812/815/817.